OK I’m probably going to demonstrate how out of touch I am with contemporary Christian music with this post but here are three songs written I think in 2008 and 2009 which I was not previously aware of and first heard at ICMDA events this year. I’ve just got back from the first ICMDA Pan-Africa Congress in Lagos, Nigeria with 1,700 Christian doctors and medical students from over ten countries. It was wonderful - great teaching, worship and fellowship – and one of the highlights was the ‘Africa Night’ where everyone (with the exception of we Europeans!) turned up in full traditional African dress. Three hours of singing and dancing ensued led by various national groups and almost all of very high quality. Two songs that featured – one African and one ‘European’ – stuck out for me. Father’s Love Letter (‘Come see’) by Michael Smith was performed alongside a moving stage drama featuring people in desperate situations being touched and transformed by God’s grace. The words and chord progressions are simple and measured but they paint a beautiful picture of redemptive love and forgiveness. 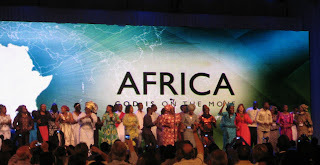 Tambira Jehovah ('Come and dance to the Lord') is a popular Zimbabwean song. There are two versions on the internet but this is the one we sang (which is think is by far the better one). We only did the basic chorus in the original language and English, the part up to 1m 45s in the video (over and over again!). It comes with easy actions which you can pick up from the dancers (longer version of lyrics here). You will have to work out the chords for yourself - those on the net all seem to be for the other version - but it should not be difficult. Finally is ‘You’re beautiful’ by Phil Wickham, which I’m not sure how I missed. I first heard it at the ICMDA Eurasia leaders’ conference in Denmark this May and again at my son’s best friend’s wedding in Cardiff this month. Here are the video, lyrics and chords. If you like these songs as much as I do and your church doesn’t currently sing them then maybe you could bring them to the attention of your worship leader! Enjoy and pass it on. Alex Schadenberg has this last week reported on a new study on children with trisomy 13 and 18 (Patau's and Edwards' syndrome respectively) which is well worth reading. I have reproduced it here. I have myself previously blogged about trisomy conditions including a wonderful testimony. A research study that was published in the current edition of the Journal Pediatrics found that parents of children with Trisomy 13/18, conditions whereby the child has an extra 13 or 18 chromosome, indicated that the parents considered the child to be happy and found that their lives were enriched by the child. Medical textbooks are grim and bleak about babies born with genetic codes considered "incompatible with life." But the study says parents who have these children speak of the joy found in what is almost inevitably a short lifespan. These children, they say, can enrich a family rather than destroy it. 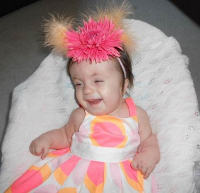 Recently I came across the story of Lilliana Dennis (pictured), a child who is living with Trisomy 18. After reading the heartfelt story about Lilliana and the Dennis family I responded by writing an article titled: Trisomy 18 is not a death sentence. The research study was carried out by Dr. Annie Janvier - specialist in Pediatrics and Ethics at the University of Montreal and Sainte Justine Hospital in Montreal, Barbara Farlow B Eng MBA - patient safety Canada, and Dr. Benjamin Wilfond - Center for Pediatric Bioethics, Seattle Children’s Research Institute and Department of Pediatrics, University of Washington School of Medicine, Seattle, Washington. The research team invited 503 parents of children who had a Trisomy 13/18 child to participate in the study. 87% of the parents responded and 332 parents (67%) of 272 children completed the questionnaire. * 23% their child would ruin their family. On the positive side, 60% were told by their medical provider that their child would have a short, but meaningful life. * 30% of the parents had requested a plan of treatment based on "full intervention." * 79% of the children who received "full intervention" were alive at the time the questionnaire was sent. Those children were a median age of four years old. * The survival rates for children with "full Trisomy" 13/18 was 40% lived for at least 1 year while 21% lived to at least age 5. Half of the parents reported that caring for a child with a disability was harder than they thought it would be and yet 97% of the parents described their child as a happy child and most of the parents indicated that caring for their child had enriched their lives. "We didn't want our daughter to live on life support or to suffer. But if she had a chance to live comfortably and be happy . . . then we were willing and able to care for her, despite her limitations,"
Annie lived for 80 days. When an illness brought her back into hospital and she stopped breathing, the staff was slow to try to resuscitate her, despite her parents' wishes. Later, Farlow and her husband discovered Annie's medical file had a DNR — do not resuscitate — order on it, even though they hadn't authorized it. "What we predicted as doctors happening to all these families didn't happen," says Janvier, who admits the findings are receiving a lukewarm response in some quarters. "I just want to show that these kids mean something to their parents, ... And they seem like they have a quality of life that's acceptable. Doctors are not torturing them. We're not giving them undue pain. And they should be treated as unique children." "There is a broader range of survival and experiences than providers know. The parents may be getting this information online and clinicians may need to rethink what they say to parents, I think the point of our paper is to say these are quite serious conditions, but saying it's hopeless is inconsistent with reality." I have known Barb Farlow and her family for several years. I have learned, through Barb, much about the lives of children with Trisomy conditions. It is my hope that society will break-through the negative bias towards children with profound disabilities, such as Trisomy 13/18. Everyone is a unique human being and people with disabilities offer other people the opportunity to accept and understand the true meaning of dignity. Hopefully this study will create new opportunities for families and the children with disabilities. The good news on 20 June was that neither Richard Ottaway MP nor Gavin Barwell MP, both members of the All-party Parliamentary Group on Choice at the End of Life, tabled bills that were anything to do with assisted suicide or euthanasia. Majority medical opinion remains opposed to assisted suicide and this vote was a victory for continuing caring and not killing. We hope that the BMA will now continue its valuable work in campaigning for high quality compassionate care for patients at the end of life. The BMA corrected Lord Falconer’s misrepresentation of its position in an article. See CNK statement here. Lord Falconer has published a new draft bill calling for doctors to have the power to help mentally competent adults with less than one year to live to kill themselves. This follows on from his discredited‘Commission on Assisted Dying.’ CNK will not be responding to his ‘unofficial’ consultation which closes on 20 November. The Lancet has published an article claiming that euthanasia rates have not increased in the Netherlands since legalisation in 2002. It appears that Dutch doctors have kept the euthanasia figures low simply bychoosing to end patients’ lives in ways other than administering paralysing drugs (muscle relaxants) or barbiturates. Alex Schadenberg, Chair of the International Euthanasia Prevention Coalition, has published a full analysis of the Lancet review of euthanasia deaths in the Netherlands. There is an editorial in the BMJ by Raanan Gillon who reviews the case of M, a woman in minimally conscious state, who was the subject of a Court of Protection ruling last year. CNK believes people who are severely brain-damaged or suffering from dementia, but not imminently dying, should be given nutrition, hydration, symptom relief and warm human interaction until the day that they die peacefully and naturally. Pro-euthanasia activists always assert that their proposals are modest and have ‘robust safeguards’. Yet their proposals would only be the beginning. Why should we trust the pro-euthanasia lobby if they can't even agree amongst themselves about what they want? The euthanasia lobby has become more and more modest in their language yet at the same time they are so divided in agendas we do not know what they actually want. Is the NHS really killing 130,000 patients a year with the Liverpool Care Pathway? A review of the sometimes controversial Liverpool Care Pathway. How should it be used and how is it being misused? David Fieldsend from Care for Europe comments on the history of euthanasia in Europe. The Canadian federal government will appeal a British Columbia Supreme Court ruling which struck down Canada’s ban on assisted suicide, Justice Minister Rob Nicholson has said. Amy Hasbrouck comments on the recent court ruling in British Columbia to declare Canada's law against assisted suicide unconstitutional. Why should we trust the pro-euthanasia lobby if they can’t even agree amongst themselves about what they want? When euthanasia became a dirty word the Voluntary Euthanasia Society changed its name to ‘Dignity in Dying’ in January 2006. 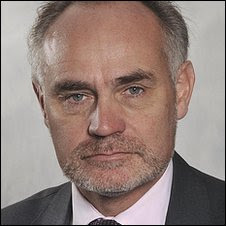 In 2008 Conservative MP for Reigate Crispin Blunt (pictured) claimed responsibility for the move. 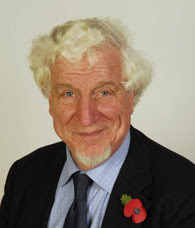 ‘I claim responsibility for encouraging the Voluntary Euthanasia Society to change its name’ he exclaimed in a in a Westminster Hall Adjournment Debate on 11 November 2008. A Daily Telegraph editorial titled ‘Euthanasia’s euphemism’ remarked at the time of the name-change that it was ‘hard to shake off the suspicion that euthanasiasts are shy of spelling out what they are really about, viz killing people’. Then when assisted suicide became a dirty term ‘Dignity in Dying’ began talking about ‘assisted dying’ instead. But whilst appearing to become more and more modest in their language at the same time they now so divided in their agendas such that we don’t actually know what they want. When Lord Falconer published his sham assisted dying commission report in January this year (he has now published a new draft bill based on its recommendations) it was clear that the pro-euthanasia lobby had messed up their coordinated choreography. Falconer said that it would only be for people who were mentally competent and mentally ill. ‘Stringent safeguards’ would be put in place to protect those who may not have the mental capacity to make the choice, anyone suffering from depression or those who feel under pressure from friends and family. In addition, the patient would have to take the medicine themselves, as a sign that the decision was voluntary. But DID patron, and fantasy novelist, Terry Pratchett, who funded Falconer's 'inquiry' told Sky News that the report did not go far enough. Right to die campaigner Debbie Purdy agreed. She was reported in the Evening Standard as claiming that thousands of other patients with chronic and painful health conditions should also get help to die if they asked for it. ‘We need to find a way so that the non-terminally ill can also end their lives. Some people will want to fight on to the end but for others who are suffering unbearable pain it can be torture’, she said. And Margo Macdonald, Scottish MSP said in the Scotsman that while she welcomed Falconer’s report, her new bill in Scotland would go further. It was no surprise then that Falconer himself told the Daily Mail that his plan that would allow doctors to help the terminally ill kill themselves was not ‘watertight’. He admitted that no such system could ever be ‘completely watertight’ – undermining his own claim that his plan contains ‘stringent safeguards’. Quite! Which is exactly why we should not be going down this road at all. Australian campaigner Philip Nitschke said at the annual conference of right to die societies in Zurich earlier this year that the movement had now split into two opposing camps. His view is that 'any rational adult (over a certain age), can peacefully and reliably end their life themselves at a time of their choosing'. If the pro-euthanasia lobby can’t agree themselves about what they want you can be certain that if the law ever does change at least some of them will not be satisfied and will soon be pushing for more. Best not to go there at all. Too dangerous! Legalising assisted suicide for anyone at all will inevitably lead to incremental extension. There is an article in the Daily Mail today reporting on the incidence of abortion for Down’s syndrome in IVF pregnancies. Statistics show that in 2009, the most recent year for which figures are available, a total of 127 abortions were carried out on babies conceived through IVF-type assistance. The data held by the Human Fertilisation and Embryology Authority shows that Down's syndrome was the most commonly given reason for an abortion, cited in 31 of the cases – three times as many as in 1999. Foetal abnormality was the next biggest reason for abortion, accounting for 19 cases, while 15 babies with Edward's syndrome – another condition caused by the presence of an extra chromosome – were also terminated. As it is not mandatory for reasons for terminations to be recorded, the number could be higher. No reason was given in 22 cases. Between 2005 and 2009, some 123 foetuses with Down's were terminated. This is not new information and in many ways is not surprising. As I have noted before, the number of babies being conceived who have Down's Syndrome is increasing dramatically. There were 1,067 babies with Down’s syndrome conceived in England and Wales in 1989 but by 2009 this had risen to 1,887, mainly due to the fact that women are delaying having children until an age when the risk of having a child with this condition is higher. But despite this the number of Down's Syndrome babies born alive each year has actually gone up only very slightly from 730 to around 753 over the same period. This is because our society is increasingly taking the view that it is better if children with this condition are not born at all. In 1989 there were only about 300 abortions for Down’s Syndrome but by 2009 1,171 babies with Down's Syndrome were diagnosed before birth, 62% of the total, and 92% of these were aborted. The number of abortions would have been much higher if more had been diagnosed before birth. The reasons people are choosing to abort are very clear from readers’ reactions to the comments on the Daily Mail online page. Of course some children with Down’s syndrome do have associated disabilities such as heart or gut defects which may require surgery to fix. And some children (both with and without Down’s syndrome!) can be a real challenge to manage. But the responses are in my view frighteningly indicative of a growing intolerance of disability in our society and do not bode well for the future. They also display a huge degree of ignorance. 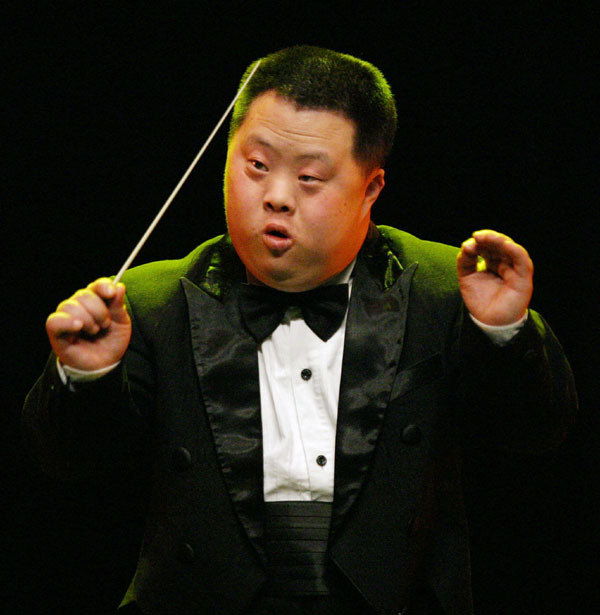 Does Down’s syndrome really condemn one to a life of ‘pain, misery, social rejection and psychological damage’? Perhaps in a small minority of cases these may occur but many children and adults with Down’s syndrome are in fact very happy and fulfilled. The tragedy is that these ill-informed prejudices will only increase as people with Down’s fall in number with more effective pre-natal ‘screening’ tests. There is no doubt that bringing up a child with special needs involves substantial emotional and financial cost, and yet at the very heart of the Christian gospel is the Lord Jesus who chose to lay down his life to meet our own 'special needs'. The Apostle Paul tells us that Christ died for us 'when we were powerless' (Romans 5:6) and that 'bearing one another's burdens' is at the very heart of Christian morality (Galatians 6:1). For Christian doctors bearing burdens involves not only providing the best medical care for the most vulnerable members of our society, but also supporting their families in the long haul, being prepared to speak out when they are being treated unjustly and doing what we can to oppose unjust and discriminatory legislation and health policy. All of us are called in a whole variety of ways to engage in the fight for these very special people and others in a similar position of vulnerability. Let's pray that we fight these battles well. Alex Schadenberg, Chair of the International Euthanasia Prevention Coalition, has today published a full analysis of the Lancet review of euthanasia deaths in the Netherlands. I have reproduced this in full below. * the percentage of requests for euthanasia being fulfilled has increased (45% in 2010, 37% in 2005). * the number of deaths without request or consent has decreased (300 in 2010, 550 in 2005). The media decided to ignore the significant growth in the number of euthanasia deaths since 2005, by reporting that the current percentage of euthanasia deaths in the Netherlands is similar to the percentage of euthanasia deaths in 2001, before it was officially legalized. Euthanasia in the Netherlands was first legalized through court decisions in the Netherlands. In 1984, the Supreme Court in the Netherlands established a set-of-criteria that should be followed for a physician to cause the death of a person by euthanasia without fear of prosecution. From 1984 to 2002 a series of legal decisions led to a widening application of euthanasia. The courts allowed euthanasia for people living chronic depression (mental pain), to children who were born with disabilities, and other vulnerable groups. In 2001, the Netherlands parliament official legalized euthanasia along the guidelines that were approved by the successive court decisions. The law officially came into effect in April 2002. Therefore euthanasia and assisted suicide were common before being legalized in the Netherlands. In 2003, the first full-year of legal euthanasia in the Netherlands, there were 1,815 reported cases of euthanasia in the Netherlands. In 2010, there were 3,136 reported cases of euthanasia. There is an approximate (20 – 23%) rate of under-reporting, nonetheless, based on the reported number of euthanasia deaths there has been a 73% increase in euthanasia deaths since 2003. The rate of increase of reported euthanasia deaths has accelerated over the past few years with a 19% increase in 2010 and a 13% increase in 2009. The continued increase in the number of euthanasia deaths may be partly explained by the increase in the number euthanasia deaths that are carried out after request. In 2005 37% of requests for euthanasia were fulfilled while in 2010 45% of requests were fulfilled. The medical daily reported that: Rates of Euthanasia are steady since 2002 legalization, Fox news reported: Little change in Dutch euthanasia post-legality, and ABC.net.au reported: Euthanasia number remain the same after legalization – study. Clearly, the media bought into a common position based on the press release from the Lancet, rather than reading the study to uncover significant concerns. 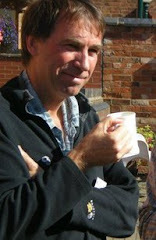 A thorough response was written by Dr. PeterSaunders, Campaign Director for the Care Not Killing Alliance in the UK. Saunders article focused on the incredible shift towards the use of Deep Continuous Sedation (Terminal Sedation) in order to keep the number of euthanasia deaths officially low. The rate of euthanasia in the Netherlands has increased by 73% in the last 8 years (1,815 reported deaths in 2003, 3,136 reported deaths in 2010) and even more important, the rate of euthanasia has increased by almost 35% in the past two years (2,331 reported deaths in 2008, 3,136 reported deaths in 2010). Combined with the growth in the use of terminal sedation for people who are not otherwise dying “slow euthanasia” and the slight increase in the number of unreported euthanasia deaths, one must conclude that there are abuses occurring in the Netherlands. On 1 March, a euthanasia clinic in the Netherlands launched six mobile euthanasia teams in the Netherlands. The NVVE, euthanasia lobby in the Netherlands, announced that they anticipate that the mobile euthanasia teams would complete 1000 euthanasia deaths per year. The mobile euthanasia teams plan to fill unmet demand for euthanasia for people with chronic depression (mental pain), people with disabilities, people with dementia/Alzheimer, loneliness, and those whose request for euthanasia is declined by their physician. In 2010 45% of all euthanasia requests resulted in death by euthanasia. Similar to the previous euthanasia reports (1990, 1995, 2001, 2005) the 2010 report uncovers significant concerns related to the practice of euthanasia in the Netherlands. Legalizing euthanasia and assisted suicide is not safe and the safeguards that are devised to control euthanasia do not protect the dying, but rather they protect the doctor. Fourteen NHS abortion clinics have broken the law by allowing doctors to pre-sign forms authorising a termination according to the health service regulator in England. This is in breach of the Abortion Act, and allows the second doctor to take a solo decision to allow a termination. 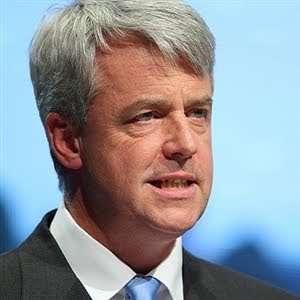 The breaches were uncovered in an investigation ordered by Health Secretary Andrew Lansley (pictured) who asked the CQC to investigate whether the practice, first identified in January, was widespread. The Abortion Act 1967 requires a form (HSA1) certifying that the requirements for a termination have been met to be signed by two doctors before the procedure takes place. The story has been covered by the Telegraph, Daily Mail and Guardian which give more details. I have pasted the full ministerial statement below along with the list of NHS Trusts involved. It makes it very clear that the police are now involved. Sadly the response of both the Labour Party and abortion providers to all this has been openly contemptuous. Abortion is still a crime unless it is carried out under the provisions of the Abortion Act and the reason two doctors signatures are involved is because abortion involves the taking of a human life. Clearly in the case of these 14 NHS abortion clinics at least one named doctor has put his or her signature to statutory documents knowingly and wilfully making false claims. This is a form of perjury (see below). The CQC must already have the doctors’ names (as their signatures will be on these forms) so the police should also have them very shortly. If the law is being properly upheld then, on the basis of the facts presented in the media, it would seem the next thing we should expect to hear is that at least 14 doctors are being prosecuted for perjury. I wonder if we will. (b)in a… certificate, declaration… or other document which he is authorised or required to make, attest, or verify, by any public general Act of Parliament for the time being in force… he shall be guilty of a misdemeanour and shall be liable on conviction thereof on indictment to imprisonment… for any term not exceeding two years, or to a fine or to both such imprisonment and fine. The Secretary of State for Health (Mr Andrew Lansley): Following reports of potential breaches of the Abortion Act 1967, in March 2012 the Care Quality Commission (CQC) undertook a series of unannounced inspections of all abortion providers. The focus of these inspections was whether abortion certificates (Form HSA1) had been signed by doctors before a woman had been seen in the clinic. The law requires two doctors to certify that at least one (and the same) ground for abortion exists in relation to a specific woman. At the end of the inspection process, the CQC set up a national quality assurance panel to review findings, judgements and action. The CQC have today published 249 inspection reports on their website, www.cqc.org.uk. Inspectors seized evidence from around a fifth of providers where issues of consistency and completeness of HSA1 forms were identified. Clear evidence of pre-signing was identified in a total of 14 providers and the CQC have required compliance actions be taken by all of these providers to ensure that their practices meet the standards set in law by a set date. Investigations by the police, General Medical Council, and Nursing and Midwifery Council continue and further referrals may result from the publication of the CQC reports. We await the outcome of these investigations. In the meantime, my officials will work with a number of bodies including the CQC and the Royal College of Obstetricians and Gynaecologists to address the findings from these inspections. 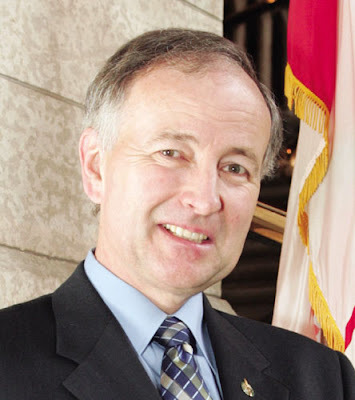 The Canadian federal government will appeal a British Columbia Supreme Court ruling which struck down Canada's ban on assisted suicide, Justice Minister Rob Nicholson (pictured) said today. The landmark ruling last month said the ban is unconstitutional and gave the federal government a year to rewrite it. But Judge Lynn Smith also granted an immediate exemption to the law, allowing Gloria Taylor, one of the women who brought the lawsuit, to die with a doctor's help. In her complex, 395-page judgment, Smith said the ban on physician-assisted suicide violates two sections of the charter of rights covering the right to equality and the right to life, liberty and security of the person. She said the law must allow for doctor-assisted suicide in cases where patients have a serious illness or disability and are experiencing intolerable suffering. Such patients must ask for the help, must be free of coercion and cannot be clinically depressed, the ruling noted. Taylor, who has motor neurone disease, hailed the lower court's ruling because it gives her control over when and how she dies. She had hoped the government wouldn't appeal. But in a statement, Nicholson said the government intends to seek a stay on all aspects of the ruling, including the exemption for Taylor, while it goes to the British Columbia Court of Appeal. Nicholson said the law has to protect people. His full statement is below. 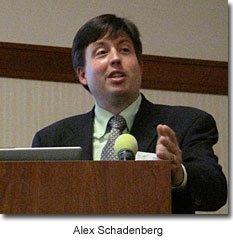 There is more detail about the case including links, and an analysis by a leading disability rights activist, on my earlier blog and Alex Schadenberg has much more useful background material in a recent post. As in the UK, having failed in parliament, the pro-euthanasia lobby is trying to change the law via the courts. It looks now as though it will be a little bit more difficult than they first anticipated. OTTAWA, July 13, 2012 – The Honourable Rob Nicholson, P.C., Q.C., M.P. for Niagara Falls, Minister of Justice and Attorney General of Canada, made the following statement today concerning the British Columbia Supreme Court decision in Lee Carter and Hollis Johnson et al. v. Attorney General of Canada. "After careful consideration of the legal merits of the June 15, 2012 ruling from the British Columbia Supreme Court, the Government of Canada will appeal the decision to the British Columbia Court of Appeal, and will seek a stay of all aspects of the lower court decision. The Government is of the view that the Criminal Code provisions that prohibit medical professionals, or anyone else, from counselling or providing assistance in a suicide, are constitutionally valid. The Government also objects to the lower court's decision to grant a "constitutional exemption" resembling a regulatory framework for assisted suicide. The laws surrounding euthanasia and assisted suicide exist to protect all Canadians, including those who are most vulnerable, such as people who are sick or elderly or people with disabilities. The Supreme Court of Canada acknowledged the state interest in protecting human life and upheld the constitutionality of the existing legislation in Rodriguez (1993). In April 2010, a large majority of Parliamentarians voted not to change these laws, which is an expression of democratic will on this topic. It is an emotional and divisive issue for many Canadians. The Government of Canada will provide its full position before the British Columbia Court of Appeal when the matter is heard. As the matter continues to be before the court, the Government will not comment further." There is an editorial in the British Medical Journal this week by a retired professor of philosophy titled ‘Sanctity of life law has gone too far’. Raanan Gillon (pictured) reviews the case of M, a woman in minimally conscious state, who was the subject of a court of protection ruling last year. I have written about the case before on this site, both before and after the judgement, and spoke to the Telegraph about it earlier today so I won’t repeat all the details again here. Essentially the judge decided that M’s feeding tube should not be removed as she did not have a valid and applicable advance directive in place. Instead he gave priority to preserving her life. Gillon didn’t like the judgement for two reasons. First he felt that the judge ‘did not accord “significant weight” to the patient’s previously expressed values, wishes, and views’. But in fact these were not sufficiently clear and in the absence of a clear statement of the patient’s wishes, Justice Baker was simply giving precedence to the preservation of life over uncertain autonomy. Second, Gillon was unhappy that decisions about starting or stopping life prolonging treatment, including the withholding or withdrawal of artificial nutrition and hydration, for all incapacitated patients should be brought to the Court of Protection. But in so doing the judge was simply acting in accordance with precedent laid down in the Tony Bland case (involving a man in persistent vegetative state) and outlined in the Mental Capacity Act 2005. Gillon’s real problem is that he doesn’t like the current law and considers that the lives of some seriously brain-damaged people are not worth living. He thinks that giving nutrition and hydration to people with severe brain damage or dementia is not beneficial and that they should have this basic care withdrawn and allowed to die. Now this statement is very interesting indeed as M was not actually demented, just seriously brain damaged. In addition she had some degree of residual brain function. It is noteworthy that Gillon is very selective in his reporting of these facts and conveniently does not mention that M had some awareness of herself and her environment, some understanding of language, occasionally spoke, appeared to be able to appreciate some things that were said to her and responded to music. Although she regularly experienced pain, this was not constant or extreme, and her condition was stable. And unlike dementia patients, who are terminally ill, she had a non-progressive condition. Gillon's suggestion, that severely demented and brain-damaged people should be sedated, starved and dehydrated to death on the basis of their friends and relatives vague and contradictory recollections of 'what they would have wanted' would create a most dangerous precedent and place us on a very slippery slope indeed. His implication that we should be withholding nutrition and hydration from such people so that we can spend the money elsewhere is chilling and demonstrates precisely why we don't give doctors, politicians and most importantly philosophers (like Gillon!) the power and authority to make such decisions on utilitarian grounds. People who are severely brain-damaged or suffering from dementia, but not imminently dying, should be given nutrition, hydration, symptom relief and warm human interaction until the day that they die peacefully and naturally. We don’t kill them either by giving them lethal injections or dehydrating them to death and we ensure that there is adequate legal protection in place so that no one who has an interest in their deaths, whether financial or emotional or to get rid of an unwelcome care burden, should be able to exploit or harm them in any way. The law is there primarily to protect vulnerable individuals from exploitation and abuse and as such it needs the strength to deter individuals and institutions who have something to gain, financially or otherwise, from another person's death. It does not need changing and the involvement of the Court of Protection in difficult cases is a necessary and effective safeguard. I have previously related on this blog the inspiring story of Daniella Jackson, a 21 year old mother who beat cancer after refusing to sacrifice her unborn child. Daniella did not know whether she would survive from her illness, but such was her love for her baby that she was willing to take the risk and if necessary lay down her life for her. She survived but not all of these rare stories end in this way. Life News this week reports on a mother in Spain who has died after postponing her cancer treatment save her baby (more detail on EWTN ). Barbara Castro Garcia, a journalist who worked for the Diocese of Cordoba in Spain, died last week on July 4. Barbara Garcia was diagnosed with cancer of the tongue on 15 July 2010 during her pregnancy. She had the cancer locally excised but needed further tests and treatment which would have posed a death to her unborn child. For this reason she opted to postpone further treatment until after her baby was born. He daughter (also called Barbara) was eventually born four months later in November 2010, after which a mouth surgeon began treating her mother again, as the pain had intensified. After the operation, Barbara was left without a tongue and only part of her jaw. The last months were difficult and she eventually died from her illness 18 months later. Abortion to save the life of the mother makes up a miniscule fraction of the 200,000 abortions carried out each year. It is so rare that many obstetricians will not see a case personally in a lifetime of practice. But it does sometimes happen that a mother is called upon to make this kind of decision. Few of us will ever be asked to make such a sacrifice but we also do not know what life has in store for each of us, and such stories give an opportunity to be prepared for such situations arising. In the context of Christian faith, with the conviction of God’s sacrificial love for us his children and in the certainty of the resurrection, they bring a reminder that the necessary strength by God’s grace can be found. Jesus said, ‘Greater love has no one than this: to lay down one’s life for one’s friends’. And he demonstrated that love by going to the cross to pay the price for our sins, so that he could share not just this life, but all eternity with us. He loved us that much. And his own resurrection from the dead gives the assurance that we too will be raised to new life with him and be reunited with those we love form whom we have been temporarily separated by death. 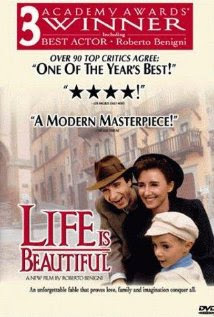 A similar theme of parental sacrifice, but in the context of war, is the subject of one my favourite films La Vita e Bella (life is Wonderful) (picture above). The Lancet has just published an article purporting to show that euthanasia rates have not increased in the Netherlands since legalisation in 2002. This news will probably be seized upon by enthusiasts for decriminalisation in the UK and elsewhere but the figures are not at all what they seem at first sight and the press release sent out by the journal is selective and misleading in its reporting of the facts. 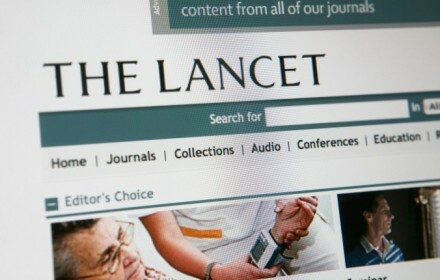 If you read the press release sent by the Lancet (reproduced by Medical Xpress) it all seems cut and dried. There were about 4,050 cases of euthanasia or assisted suicide in 2010 (2.8% of all deaths) and this was only slightly up from the 2001 figure of 3,800 (2.6%). But if you read the abstract along with the full article and accompanying comment you get a very different picture altogether. Most news outlets will do neither but will simply propagate the press release which is why it is important to look at the original sources. Thus far, the Daily Telegraph is the only national newspaper to cover the story. The key fact which should alert people to something odd going on is the reference to ‘continuous deep sedation’ in the Netherlands which appears in the article’s abstract but tellingly (and perhaps even disingenuously) not in the Lancet press release. But what was the rate of ‘continuous deep sedation until death’ in 2001 and previously? On examining the article we learn from table 1 that it was not measured in 1990 and 1995 and was 5.6% in 2001. In other words there has been a steady increase in this category of cases which in 2010 accounted for 16,700 deaths. Over the same period the number of deaths after ‘intensified alleviation of symptoms’ has also increased from 20.1% to 36.4% and now accounts for over 49,500 deaths annually. There is nothing new about any of these figures. They have all been published in reviews of Netherlands practice before in peer-reviewed medical journals (in total five studies covering 1990, 1995, 2001, 2005 and 2010). But the accompanying comment piece in the Lancet by Brendan Lo raises some very interesting questions indeed. It acknowledges that the line between euthanasia and ‘the less controversial, much more common practice’ of ‘continuous deep sedation’ ‘can be blurred in clinical practice’ and noted that in other studies ‘physicians also misclassify some cases of euthanasia’. In other words, it says, ‘physicians who say they are undertaking palliative sedation sometimes cross the line to euthanasia’. Whilst the paper claims that the level of involuntary euthanasia has decreased since 1991 from 0.7% to 0.2% of all deaths (ie. deliberate killing with lethal drugs without consent), it also acknowledges that ‘in 42% of cases classified by the investigators as intensified alleviation of symptoms, the physician did not discuss the decision with the patient, relatives or another physician’. The Lancet comment concludes by saying that ‘an in-depth analysis of these cases might reveal more widespread conceptual confusions or flaws in practice’ and recommends that ‘additional information from in-depth interviews in ethically problematic cases is needed’. In other words it is not at all clear how many of these two categories of ‘continuous deep sedation’ and ‘intensified alleviation of symptoms’ involved the explicit intention to end life. But the huge increase in number of patients dying in each of these categories since legalisation in 2002 is very suspicious indeed. It appears that Dutch doctors have kept the euthanasia figures low simply by choosing to end patients’ lives in ways other than administering paralysing drugs (muscle relaxants) or barbiturates. In other words they are making more decisions to end life than before legalisation but are just carrying it out and recording it differently. Other authors have proposed the term 'early terminal sedation' for the particularly contentious practice of giving deep, continuous sedation to patients who are not imminently dying without provision of hydration or nutrition, with the end result that death is hastened. This is in reality a form of euthanasia and seems to be increasingly common in the Netherlands despite not being labelled as such. The UK should take warning. At present it appears that palliative sedation as practised in the UK, which is aimed primarily at reducing anxiety at the end of life, is very different from that practised in the Netherlands, which seems to be aimed at producing deep sedation and shortening life. But the Dutch figures seem to reveal incremental extension after legalisation which is being carefully and skilfully disguised by the way the figures are being presented. The Lancet report, far from providing reassurance, actually raises more questions than it gives answers and it is very difficult indeed to extract the substance from the spin. The lesson is clear. Don’t rely on the Lancet’s specious press release or superficial reports in newspapers and medical magazines. Read the original paper and ask serious questions! Not Dead Yet is an international organization of people with disabilities who oppose the legalization of euthanasia and assisted suicide. The article was prompted by the recent controversial court ruling in British Columbia to declare Canada’s law against assisted suicide unconstitutional but the arguments are relevant everywhere. For commentaries on the British Columbia ruling and its relevance see recent commentaries by Will Johnston, Margaret Dore and Alex Schadenberg. The ruling is important in a UK context as lawyers representing Tony Nicklinson have sought to use it as evidence in furthering his case. It has taken me a long time to read through the nearly 400 pages of the June 15 decision of the British Columbia Supreme Court on the issue of assisted suicide. I found reading it to be like a journey to a dark place, full of raw emotions. The long and the short of the reasons for judgment issued by Justice Lynn Smith is that legal provisions in Canada prohibiting assisted suicide law are unconstitutional because they impede disabled people’s rights to life, liberty and security of the person. The judge believes that having a disability or degenerative illness is a rational reason to want to die, and that those of us with disabilities should be helped to die if we can’t do it neatly or efficiently ourselves. Justice Smith doesn’t appear to believe that people with disabilities and terminal illness are ever coerced, persuaded, bullied, tricked or otherwise induced to end our lives prematurely. She believes those researchers who contend there have been no problems in jurisdictions where assisted suicide is legal, and she rejects evidence suggesting there have been problems. The same goes for all those folks who succumbed to the pressure; I guess they’re only hypothetically dead. Reading the B.C. court decision is hard as a person with a disability because it’s unpleasant to discover underlying assumptions about people with disabilities. It’s quite another, though, when a Canadian judge says of individuals who may experience such suffering (physical or existential), unrelievable by palliative care, “that it is in their best interests to assist them in hastened death.” Same message, only the judge uses bigger words. So what of the “suffering” she describes? Well, a lot of physical pain can be managed by effective palliative care; and sedation is available for the most severe pain. “Existential suffering” is when someone has not come to terms with a disability or terminal diagnosis; that takes counselling, peer support and a desire to get on with one’s life. Of course, coming to terms would be a lot easier if people weren’t telling us we’d be better off dead. The B.C. Supreme Court has chosen not to listen very closely to disability-rights advocates with more than 20 years of experience battling discrimination; instead, the court relied on the stories of people who have accepted the view that disability is undignified, and that people with disabilities should be given a streamlined path to death whenever they want it and however they want it. Justice Smith assumes that, because it’s no longer illegal, suicide is somehow an affirmative right; and if you can’t do it the way you want to do it, then you should have the right to have someone do it for you. The judge also seems to have forgotten about the billions of dollars spent each year on suicide-prevention programs and mental-health care. Nor does she mention that a non-disabled person who says he wants to kill himself can be committed to a psychiatric hospital against his will. 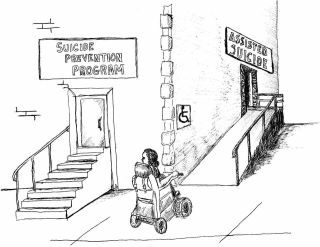 To put it simply, if a non-disabled person wants to commit suicide, she’s considered irrational and mentally ill, and is treated for depression, or maybe even locked up to prevent her from hurting herself. But if a disabled person wants to kill herself, she’s told she’s making a reasonable choice, and not only has the right to do so, but is even helped to complete the act so her death is guaranteed where most other suicide attempts fail. That sounds like discrimination to me. Perhaps the most bizarre part of the decision is the judge’s finding that outlawing assisted suicide somehow deprives people of the right to life. Sure, she has a logical argument to make her point, but using basic common sense, it doesn’t pass the sniff test. It’s hard enough for those of us with disabilities to deal with architectural and communication barriers, discrimination, inadequate support services and public policies that limit our integration and equality, let alone contending with people who grease the skids to the River Styx. There is an article in the British Medical Journal this week with the provocative title ‘Ensuring that women have access to safe abortion is “pro-life”’. You will need a subscription to read it but the author gives an anecdotal account of some deaths from illegal abortions in Liberia as grounds for arguing that abortion should not be further restricted in the UK. There is no peer-reviewed data quoted for either Liberia or UK but the stories of the developing world are being used as a pretext for arguing against any restriction on abortion here. Deaths from unsafe abortions in developing countries like Liberia are tragic but the answer is not legalised abortion and the extrapolation the author makes to the UK is not actually evidence-based. The argument advanced is that any move to restrict abortion now in the UK would drive women back into the hands of backstreet abortionists leading again to thousands of deaths. The reality is much more complex than that. But you have to look at the actual evidence to understand what really happened in Britain to maternal mortality before and after abortion was legalised. UK and US figures are discussed in more detail in my recent blog, ‘How many women really died from abortions prior to the Abortion Act?’, but the main points are as follows. First, maternal mortality from all causes, including abortion fell dramatically long before abortion was legalised as a result of better medical care. Second, many so called ‘back-street abortions were actually carried out ‘illegally’ by ‘skilled professional’ nurses and doctors using surgical instruments in sterile conditions. Third, legalising abortion did not eliminate all maternal deaths, as some women now began to die of legal abortions, and in addition there was still a trickle of illegal abortions. However since 1968 all abortion deaths in Britain have fallen to almost zero. Legalising abortion is not pro-life. In developed countries with good medical systems it does not save a significant number of mother’s lives and simply leads to a massive increase in the abortion rate. And in developing countries what is needed is a comprehensive package of better antenatal care, family planning and obstetric and gynaecological services but the most important ingredient is maternal education and the relief of poverty. This has been dramatically illustrated in the experience of Chile where, contrary to widely-held assumptions, making abortion illegal did not result in an increase in maternal mortality. In fact, after abortion was made illegal in 1989, the MMR continued to decrease from 41.3 to 12.7 per 100,000 live births (69.2% reduction). The result is that Chile is now doing better with maternal mortality than the United States. I expect we will hear a lot this week, with the family planning summit, about the need for so-called 'safe abortion' in the developing world. When we do we need to ask for the evidence that it will make any difference to maternal health. Someone asked me the other day if I thought Christians should vote for Obama. I think a good mark of a leader is whether or not they speak out for those who have no voice and enact laws to protect the most vulnerable. So I thought I would have a look at Obama's record, as a self-proclaimed 'Christian' president, on abortion. I didn't have to look far. 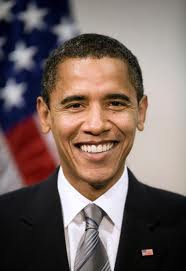 Steven Ertelt has helpfully compiled a record of President Obama’s bill signings, speeches, appointments and other actions that have promoted abortion before and during his presidency. This is available on the LifeNews website and is regularly updated. It is very long but well worth bookmarking and having a quick scan. It is deeply incriminating and if I lived in America I would refuse to vote for Obama on this issue alone however good any of his other policies might be. There are currently 42 million abortions per year worldwide as against 57 million deaths from all other causes. There is in fact no one more innocent, more vulnerable and killed in greater numbers than the baby in the womb. This alone makes abortion one of the most important human rights issues there is. The Bible tells us that God hates 'hands that shed innocent blood'(1) and 'hides his eyes' from those whose 'hands are full of blood'(2). He was 'not willing to forgive' Manasseh who 'shed so much innocent blood that he filled Jerusalem from end to end'(3) and indeed this particular sin was one of the major factors leading ultimately to the destruction of Jerusalem in 587 BC. Scripture also links sexual immorality (which is a major cause of unplanned pregnancy) and the killing of children to idolatry(4). They are together symptomatic of a nation which has turned its back on God. By contrast God calls his people to 'rescue those being led away to death' (5) and to 'speak up for those who cannot speak for themselves' (6). How well are we doing as Christians on this I wonder? Do we regard the shedding of innocent blood as seriously as God does? And what are we doing about it?